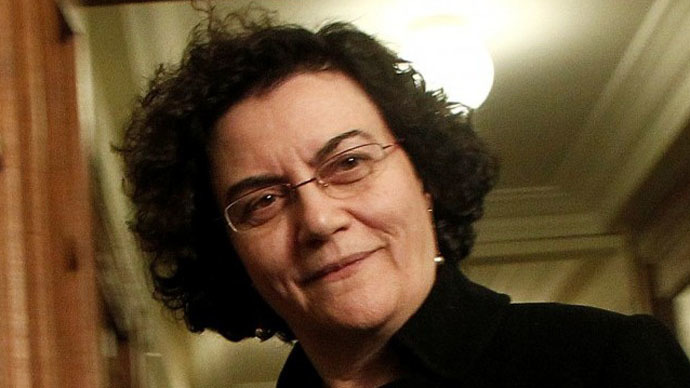 Greek Deputy Finance Minister Nadia Valavani has resigned ahead of the key vote in the Greek parliament on a third bailout agreed between Prime Minister Alexis Tsipras and the country’s creditors. She described the deal as Greek agony. “Alexis, I am ready to serve in any capacity to the end during challenges. However, when our delegation returned with liabilities that are ‘stillborn measures’ and at such a price [by the creditors in fulfilling the reforms program], once again when the dilemma appears of retreating or Grexit, it will be impossible for me to remain a member of the government,” Valavani’s letter reads. She called the debt deal reached Monday a “capitulation” by the government, that’ll hit the Greek people. “This ‘capitulation’ is so overwhelming that it will not allow a regrouping of forces. With your signature there will be a deterioration in the status of an already suffering population, and this will be a tombstone around their necks for many years with little potential of redemption,” she wrote. The letter was made public by the Greek finance ministry on Wednesday. Valavani was one of two deputy finance ministers, and was in charge of taxation and overseeing privatization. The Greek parliament is going to vote on Wednesday on the austeritydealmade between the creditors and Tsipras. There is no unanimity within Tsipras’ Syriza party. The vote can break up Syriza’s anti-austerity coalition with right-wing ANEL. This could lead to new elections in Greece. Since the agreement Alexis Tsipras has been expected to reshuffle the government, with the resignation of Syriza members who refuse to support the agreement with European creditors.